Downtown menswear brand Rowing Blazers and historic uptown Ivy style clothier J. 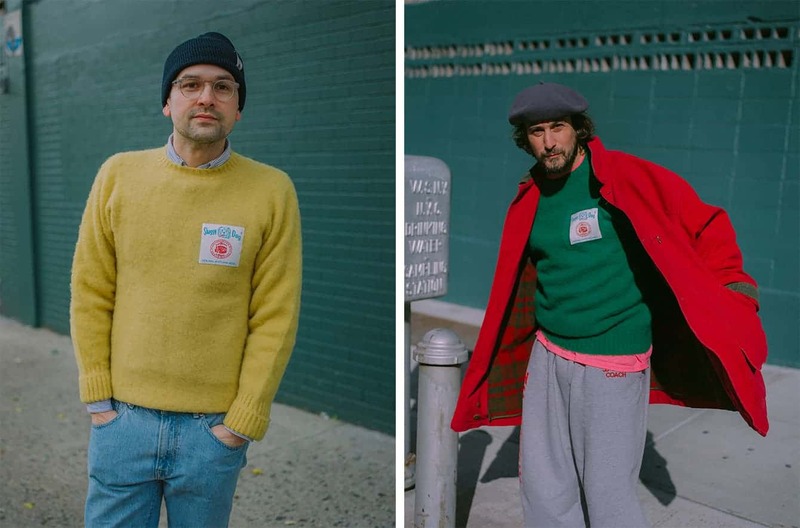 Press have collaborated on a limited-edition capsule of iconic, colorful “Shaggy Dog” sweaters. These brushed Shetland sweaters are completely re-imagined and come in pops of color and feature an oversized vintage label on the front left chest. Rowing Blazers founder Jack Carlson grew up in Cambridge, Massachusetts, and bought his first Shaggy Dog sweater from J. Press in Harvard Square when he was in high school. The limited-edition sweaters (which retailer for $295) and tees ($52) are now available at the Rowing Blazers Clubhouse in SoHo (161 Grand St), the J. Press flagship in Midtown (51 E 44th St), jpressonline.com, and rowingblazers.com.